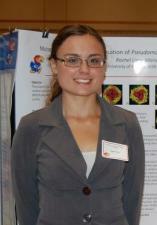 Haifa Alhadyian is a graduate student in the Department of Molecular Biosciences at the University of Kansas. She received her Bachelor’s degree in Zoology from Dammam University, Saudi Arabia. Recently, Haifa obtained her Master’s degree in Molecular, Cellular and Developmental Biology from Molecular Biosciences Department here at KU. 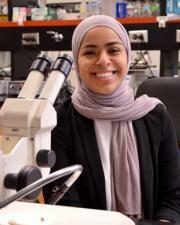 Besides conducting research, Haifa is a Trainee-Representative of Genetic Society of America and the director of Saudi Arabia DNA Day. She hopes to inspire women in STEM to be involved in leadership positions and to be active voices and advocate for women equity in their field of study. Dr. Katie Becklin is an Associate Researcher in the Ecology and Evolutionary Biology Department at the University of Kansas. She studies physiological mechanisms driving functional variation in plant interactions, and the impacts of such variation on ecological and evolutionary responses to global change. As an AAUW member, Dr. Becklin is committed to promoting women in STEM fields. To further this goal, she has mentored numerous undergraduate women conducting research in plant physiology and ecology. Dr. Becklin has also participated in the annual Women in Science Day outreach program at Washburn University in Kansas. 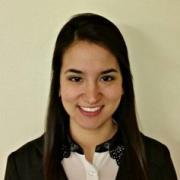 Sofia de la O is a junior studying chemical engineering with a concentration in pre-medicine from Wichita, Kansas. When Sofia graduates, she hopes to pursue an M.D./Ph.D. and become a pediatric oncologist. This career would allow her to combine her passion for helping people with her aspiration to contribute to scientific progress. Outside the classroom, Sofia is involved in undergraduate research, the Initiative for Maximizing Student Development Program, the Engineering Ambassador Program, and works as a Resident Assistant for KU Student Housing. Her hobbies include playing sports and staying active, fishing, watching movies, and spending time with friends and family. Sofia has had great mentors help her with her grow in her personal, educational, and career goals, and she hopes to do the same for other students. Aleah is a PhD student in the Ecology and Evolutionary Biology Department. She is interested in the effects of climate change on plant development and physiology. 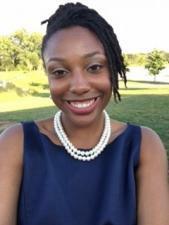 Aleah grew up in Louisiana and received her Bachelor of Science Degree from Dillard University in New Orleans, LA. Dr. Hannah Kinmonth-Schultz grew up in Hanover, WI. She attained her Associates degree at the University of Wisconsin - Rock County community college before graduating from the University of Wisconsin - Madison with a Bachelor's degree in Botany. She received her Master's in Forestry with an emphasis on plant physiological ecology, and her PhD in Biology focusing on plant molecular biology, both at the University of Washington in Seattle. Hannah is an enthusiastic educator. She worked as an elementary school teacher through Teach for America before going to graduate school, and has worked with students all the way from Kindergarten to adults. 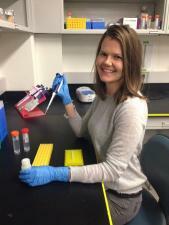 She currently is working as a post-doctoral researcher at the University of Kansas in Professor Joy Ward's lab in the department of Ecology and Evolutionary Biology. She lives in Lawrence with her five-year-old daughter, Mica, and her husband, Nick. 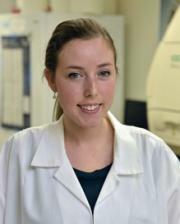 Rachel is a Bioengineering MS/PhD student in Dr. Candan Tamerler's laboratory studying bionanointerfaces. 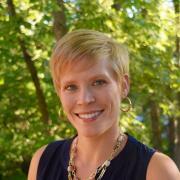 Karen Olson is a doctoral student in the Department of Ecology and Evolutionary Biology at the University of Kansas. She received her Bachelor's degree in Wildlife Ecology and Conservation at the University of Florida and her Master's degree at the University of Kansas. Karen is active in outreach programs, such as DNA Day, and mentors undergraduate students in science on her research. She hopes to continue to inspire and encourage women in STEM fields to take a more commanding role and close the gender gap. Bailey is a MS/PhD Mechanical Engineering student researching waste heat recovery from diesel engine exhaust under Dr. Chris Depcik. She received her BS in Mechanical Engineering with a minor in German Studies from KU in 2015. 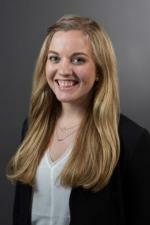 In 2016, Bailey was selected as a Madison & Lila Self Graduate Fellow. Through her involvement with JBB, Bailey hopes to promote and encourage the presence of women in STEM fields. 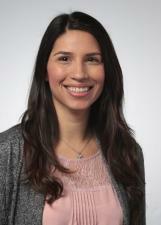 Dr. Torres is currently an NIH Postdoctoral Scholar in the Department of Chemistry. Here at KU, she has mentored research students, instructed a grant writing course, and is actively involved with the KU Postdoctoral Association to help improve postdoctoral training on our campus. Jessica earned her B.S. 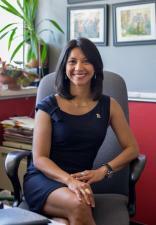 in Chemistry from the University of Puerto Rico and her Ph.D. in Bio-organic Chemistry from North Carolina State University. She has a special interest in scientific communication and has been leveraging her training to facilitate effective communication of research for scientists. Lynn serves as the Program Coordinator for the Initiative For Maximizing Student Development (IMSD) and the Post-Baccalaureate Research Education Program (PREP), two NIGMS/NIH funded program preparing STEM students from underserved populations for PhD programs in biomedical related fields. She also serves as the Director of the Peer Led Undergraduate Supplements (PLUS; http://www2.ku.edu/~plus/) and the KSDNADay (http://www.ksdnaday.org). She is as the adviser for JBB and the Society for Advancement of Chicanos and Native Americans in Science (SACNAS) Graduate Student Chapter.